At POD we are extremely proud of our Design Studio Department. Their knowledge, attitude and work ethic are second to none. They well know the tight deadlines and high quality print needed to supply top quality artwork and graphic designs. We have a range of services which can help you at any stage of your design or product launch, from original concepts, through photography to final proofs or mock ups. Whether you want to leave the whole concept to our expertise, or you have an idea in mind and want to incorporate existing designs, logos and images, POD can work from your brief to create eye-catching, high quality designs and displays. This can include creating 3D imaging, touching up photographs or adding various effects to your existing photos and images. 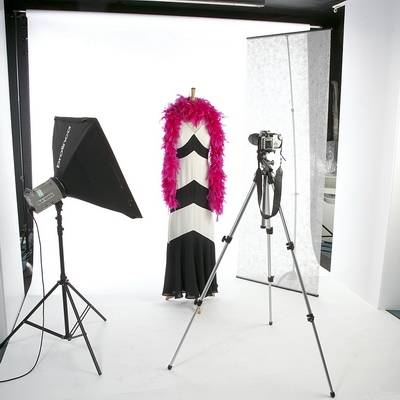 Our photography studio is set up ready to capture your images, products and ideas. With our professional photographers present, we can arrange a studio session for you to attend, or you can leave it to us to create and supply quality images for your project and for future use. We can also travel to any onsite environment to capture pictures of portraits, buildings, exhibitions, corporate and business services. A logo that is used on a web-page is not necessarily suitable for large format printing, so in cases where the customer cannot supply a vector based logo (usually an .ai or .eps file) which can be enlarged without causing any distortion, we can re-draw your logo using any existing artwork as a basis. A frequent problem we encounter is that a client provides artwork which has been fine for literature and smaller documents, but is no longer suitable when enlarged for use on a 2 or 3m high graphic. If higher resolution files are not available, we can at times overcome this problem by using software to improve the quality and image integrity at these larger sizes. High resolution scanning of documents, pictures, artwork and hardware. If you only have a hard copy of the image(s) you wish to use in your design, we have the facility to scan at high resolution, ready to use digitally on a large format graphic. Original artwork is best as the scanner picks up every detail in the document or artwork scanned. Original pieces of artwork are a speciality. Using their extensive marketing knowledge, our design team will be happy to discuss and create a revamped company image along with logos, branding and other corporate imaging.